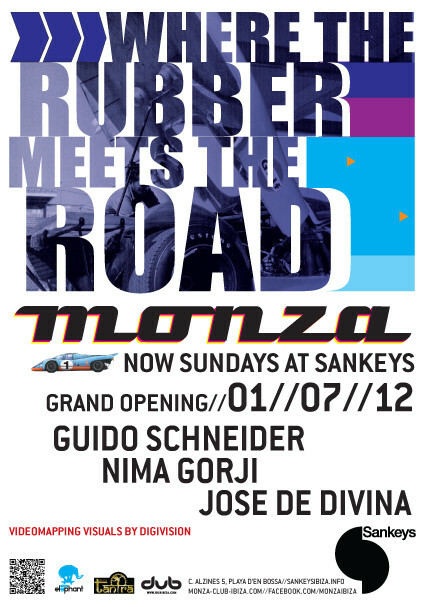 Monza returns to Sankeys for a weekly Sunday residency throughout the summer, from Sunday 1st July to Sunday 7th October. Artists including Livio & Roby, Nima Gorji, Ricardo Villalobos, Tobi Neumann, Raresh, Francis Harris (Formally Known As Adultnapper), Mr C, Kabale & Vera, Jorge Savoretti, Binh, Jan Krüger, Martinez, Tom Clark And Daniel Dreier are already confirmed for the summer. Monza Ibiza: "We believe in the combination of big names with new talent and local heroes. It is this eclectic approach that delivers our very own underground character, lived and represented by the Monza DJ family." Since 2003, Monza has been an established club night in Ibiza. This year, Monza's second year with Sankeys Ibiza, Monza will act in The Box room of Sankeys and alongside the elected line-ups each week, will be Video Mapping the entire room with 3D visuals for an aural and visual show.